When bees sting you, they inject venom through their stinger into your skin. Some people only develop a localized reaction such as pain and redness that usually settle within a few hours. 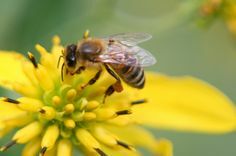 About 3% of people will develop an allergic reaction to the bee sting, and 0.8% of people can even develop anaphylaxis which is a life-threatening allergic reaction. Therefore, it is important to get a knowledge of bee sting allergy treatment. Note: Serious allergic reaction usually happens in people whose immune system is overly sensitive to the venom. The body overreacts to the venom injected by the bee and there can be symptoms all over your body. Seek emergency treatment immediately if you notice above mentioned symptoms. Use a credit card or tweezers to remove the stinger – do not try to squeeze any attached venom sac. Use soap and water to clean the affected area. Apply ice packs on the affected area to alleviate pain and swelling. Use a cream such as hydrocortisone to reduce itching and redness. Take an antihistamine to treat swelling and itching. Call 911 or your local emergency service if you experience severe pain and swelling. 2. What Are the Bee Sting Allergy Treatment in Hospital? You may have to go to the hospital if you are experiencing a severe allergic reaction to bee sting. What are the bee sting allergy treatment in hospital? The treatment may involve taking certain medications along with allergy shots, depending on the severity of reaction. 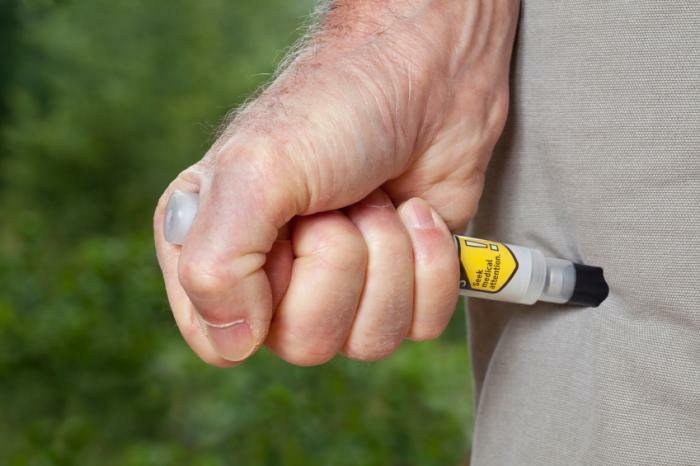 Epinephrine will be used to reduce allergy reactions. You doctor may prescribe an epinephrine autoinjector for you. It contains a concealed needle with a syringe that you can use to inject medication by pressing it against your thigh. You may have to keep an autoinjector with you all the times if you are in an area where bee stings are common. You may require allergy shots if you have serious allergic reaction to bee stings. To get allergy shots, you first need to get allergy testing done by an allergist. 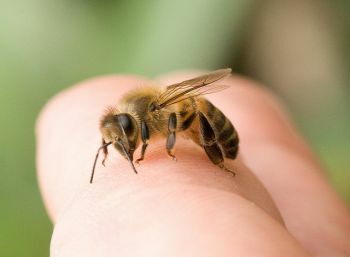 You may have to get allergy shots regularly for a few years to lower your chance of developing another serious allergic reaction to bee venom. During a hospital stay, your doctor may consider giving you oxygen to make breathing easier. They may also give intravenous antihistamines and cortisone to alleviate inflammation and improve breathing. In case of an anaphylactic attack, a medical team will perform cardiopulmonary resuscitation (CPR) to facilitate breathing. They will also give you CPR in case your heart stops working. Now you know bee sting allergy treatment options, it is also important to know how to avoid being stung. Never drink from open soft drink cans because stinging insects may crawl inside them. Keep your food covered when you are eating outdoors. Avoid using sweet-smelling hairspray, perfume, or deodorant. Do not wear brightly colored clothing in outdoors. Wear long-sleeved shirts, long pants, shoes, and socks when working outdoors. Take special care when working near eaves, bushes, and attics. Ask a professional exterminator to come and remove bee nests. Learn to recognize insect nests. Honeybees nest in beehives, yellow jackets live in the ground in old logs and dirt mounds, and hornets live in trees, bushes, and on buildings. Avoid them or have them removed by professionals. Do not grow insect-attracting plants and vines in your home. Use insecticide to spray garbage cans and keep those cans covered. Use screens on windows to keep insects out of your home.